Home Columns Hot Fun In The Summer Time! Okay, let’s be honest… that’s a great song but when it gets hot, it’s really not that much fun. Especially if you work or play outside, you should know about heat stress safety tips. Heat stress is caused by over exposure to hot climates. You might not think it is possible, but you can suffer from heat related injuries inside as well as outside. 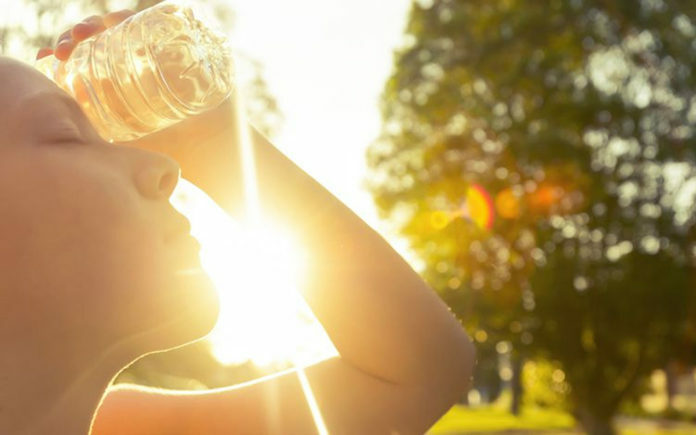 Heat stress occurs when your body’s core temperature rises above normal. Types of Heat Stress – There are two popular types of heat stress. The first is heat stroke. This is caused by your body temperature rising above 103 degrees. Heat stroke is a serious problem and often leads to death if it is not taken care of immediately. There are several symptoms of heat stroke. Symptoms of heat stroke include difficulty breathing, headache, dizziness, flushed skin, vomiting, no sweat on skin, seizure and loss of consciousness. If you notice someone suffering from any of these symptoms call for medical attention. Heat Stress Prevention Safety Tips – It’s important for you to wear light, loose fitting clothes that allow air to flow through them. Clothes should be light colors that reflect the Sun rather than dark which attracts the sun. Stay hydrated. Drink plenty of fluids throughout the day. Avoid drinks with caffeine in them. They will cause you to dehydrate faster. If at all possible, work in a shaded area. If you are on any medication, check with your doctor to make sure long exposure to the sun is safe. Take frequent breaks to cool off.